Cameras come in two main categories; the DLSRs and the Mirrorless cameras. The Rangefinder cameras fall under the mirrorless cameras and have been around for ages. As a matter of fact, they have been around longer than the SLR cameras. Over the years, their design, technology, and functionality have remained unchanged for the most part. Sure there have been some minor upgrades but no significant deviation from the initial design and functionality. But here is the problem. 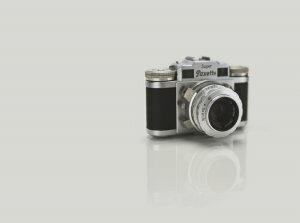 More and more brands are designing their cameras with retro looks. This makes it difficult to tell them apart from the rangefinders. That said, there is some significant difference between rangefinders and the DSLR cameras. These differences are mainly in the technology they feature. These camera types are given the term rangefinder courtesy of their dual image range finding technology. With rangefinders, you turn a ring on the camera and bring two images into perfect superimposition for a perfect focus. With a rangefinder, you do not have to look through the lens. Instead, like a disposable camera, you focus on the object and compose an image via a window located on the camera’s top right. Through the small window located to the left of the camera, the rangefinder will triangulate on the object as you adjust the focus ring. This will help to bring the 2 images into perfect focus. The window to the right allows light in and makes the frame lines more visible and brighter. Why Should You Invest In A Rangefinder Camera? Truth be told, though a technology older than that of SLRs, rangefinder cameras have more benefits in comparison. With rangefinder cameras, flipping mirrors do not exist. As such, lenses do not have to be designed with their backs far away from image planes to avoid hitting the mirror. As such, the lenses are designed with their backs close to the image planes. This allows for a wide angle capture with reduced distortion. The images are sharper and smaller. Also given the absence of flipping mirrors, there is reduced vibration and bluring unlike with SLRs. It is important to note that the rangefinder cameras feature better and precise focusing for normal and wide lenses. How is this possible? Well, with a reduction in the number of parts required to take a shot, the weight and size reduction. Rangefinders do not feature focus screens, flipping mirrors or prisms. In addition to this, it is important to point out that the lenses are also smaller and lighter since they do not have to be cleared of the flipping mirrors. For rangefinders, it is surprisingly easy to land the wide angle lenses and even larger. They will provide great image quality with little to no distortion. Also, it should be noted that a budget wide rangefinder lens is bound to produce better quality compared to the best and expensive SLR lens. 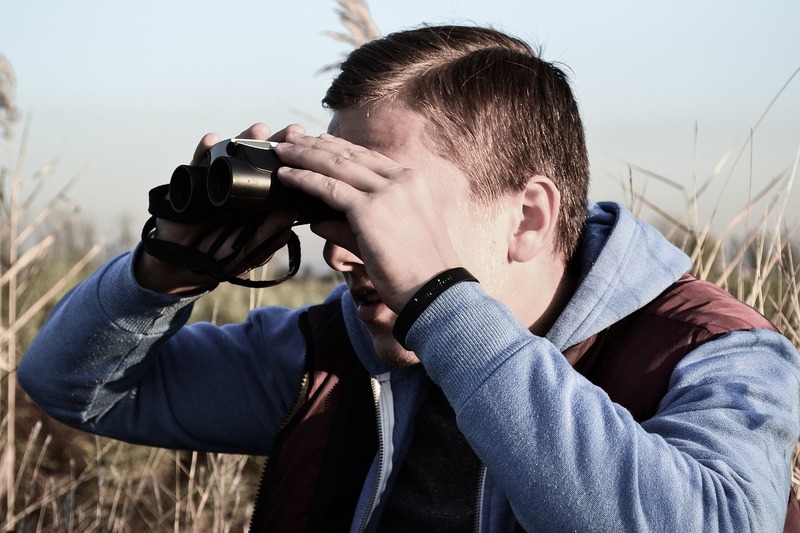 With rangefinders, there aren’t mirrors flipping with every shot you take. As such, all you hear is a quiet click made by the shutter. How is this important? Well, courtesy of their quiet nature, you get to be more discrete in the shots you take. If you are shooting in the wild for a documentary, you will not scare away animals. On the other hand, you will not weird out persons on the street if you are more into street photography. With the SLR cameras, the mirror flips with each shot. During this time, the viewfinders are designed to go back to the last known instant – the point at which the image was recorded for good. With rangefinders, however, the viewfinders do not blackout. As such, you always know the expression and position of the object when the shot is taken. This is important as it allows you to have more keeper images. With rangefinders, a press of a button is enough to capture the exact moment you wish. With SLR cameras, you have to wait for the mirror to flip out of the way and the shutter to open. By this time, the peak moment is gone. Now that we are on the same page of what a rangefinder camera is, its benefits and why you should get one for yourself? Let us have a look at some of the best film rangefinder cameras you should consider for purchase. The Canon Canonet QL 17 is one of the best rangefinder film cameras there is. It is compact and features a fixed lens. 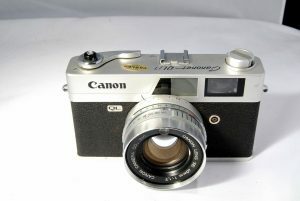 This camera was launched back in 1972 and was the very last Canonet to be produced. It is worth noting that the unit features a solid weight and is durable. 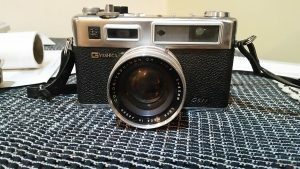 It is, however, lighter and smaller compared to the Yashica 35. The mechanism of this rangefinder is linked to its lens focus lever and also has several frame guides with parallax compensation. The operation of this unit is all mechanical. This is to mean that it can be operated devoid of a battery. Its lens as earlier mentioned is fixed and has a rating of 40mm f1.7 and an aperture range of between f/1.7 to f/16. It is worth noting that the Copal leaf-style shutter provides shutter speeds of between ¼ and 1/500. You also will be pleased to note that this unit comes with a self-timer and a bulb mode. With the built-in meter, the camera affords you film speeds of between ISO 25 and 800. On the downside, it is rather unfortunate that the batteries this camera was initially designed to run on are unavailable. But not all hope is lost; there are several battery alternatives available. As such, this should not affect your purchase if you are considering purchasing this unit. Speaking of batteries, with the QL17, you benefit from its battery light designed to verify the battery’s voltage. 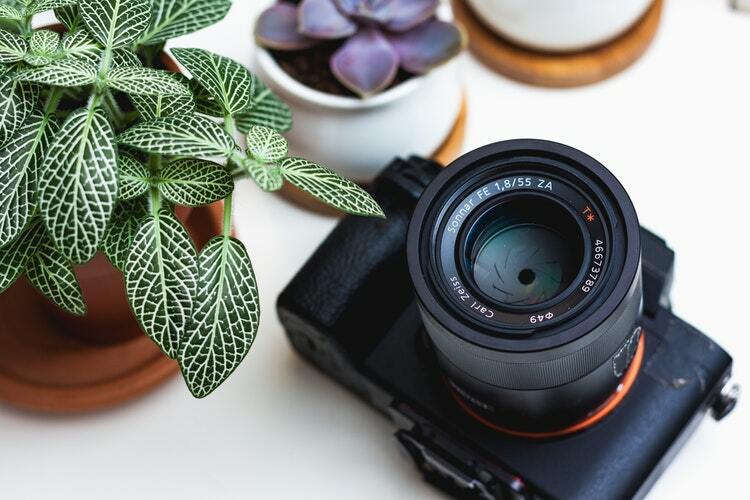 When the light seizes to work after a long while, signifying the battery voltage is low, you still can continue using the camera for a little while longer especially if the camera is running on zinc-air batteries. The G2 is one of 2 cameras that together, made up the G System back in the day. The camera also comes with accessories and lenses. Its predecessor the G1 was first launched into the market in the 1990s. However, it elicited mixed reactions. But the G2 acted as an improvement to the unit, and everyone loved it. 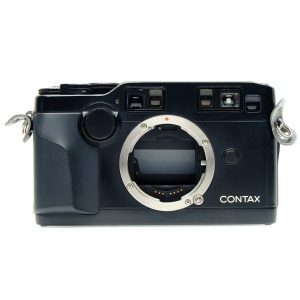 Aside from the high technology insides of the camera, the handling, and the styling, the Contax G2 is a pretty traditional unit. It sports a titanium body and an attractive finish along with lenses and multiple accessories that match. It is well built and is solid. The controls are smooth and great to feel and touch. The camera sports a film speed from ISO25 to 5000 automatically with the help of the DX panel. If you please, you can also do the setting manually and vary it between ISO6 and 6400. Moving on, the exposure of the unit ranges between +2 and -2 in increments of a third. At the back of the G2 is a is the viewfinder with a diopter adjustment wheel, a focus mode dial (complete with an AF lock button right at its center. The back also features a tiny window that acts as the display of the details captured on the film canister. At its front is a focus wheel that sports a self-timer. The top of this unit is pretty busy and carries most of the features. Here, there is an ISO button used in tandem with the focusing wheel to override the DX speed, a manual ISO speed, a motor drive mode dial, manual focus for the distance, exposure indicator, low battery warning, an exposure compensation dial along many other features and functions including the shutter speed dial, the shutter release button and the film counter. This is one great film rangefinder that gives some of the best digital rangefinder cameras a run for their money. This unit is perfect for street photography. It features either a Summicron 35mm f/2 or a 50mm f/2. It is tiny and is very fast to focus on your object and shoot. It is tough, and its Summicrons are by far the highest rated of all 50mm and 35mm lenses available. Definitely the best 35mm rangefinder camera. This Leica’s aperture priority auto-exposure TTL metering is perfect. It is important to note that this unit also comes with manual metering. Generally, the unit features all the important basics including a built-in light meter, impressive shutter speeds of a maximum of 1/1000th per second and an incredible rangefinder-based focusing as well as framing system. It is void of the fancy exposure brackets, face tracking modes, HDR stacking and suchlike features. But while being basic, the unit performs great and up to par. The Argus C3 is commonly known by its enthusiasts as ‘the Brick.’ This is a unit that has its conception back in the mid-19th century – the machine age. Its front is laden with gears and can be confused with a scientific measuring gadget at first. 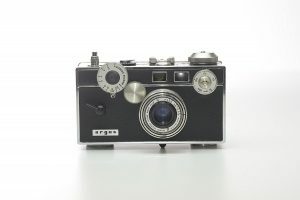 This rangefinder is constructed using heavy Bakelite combined with metal. This is the reason behind its heavy nature and design. The Argus C3 is a manual rangefinder camera designed to focus from distances of 3ft upwards. Its aperture is designed to be adjusted progressively from f3.5 to f16. The shutter needs to be cocked manually. Speaking of which, the shutter can be set anywhere in the range of 1/300 to 1/10 and has a B option too. It is important to note that the lens is interchangeable. The frame counter features a unique system complete with a numbered dial which makes complete revolutions for each frame. That said, here is a little background about the unit and the reason why it has made this list. The Argus C3 was mass produced in the years between 1939 and 1966 in Michigan. So many units were made. As a result of the increased supply, the units were significantly inexpensive 70 years down the line. Courtesy of its durability and its inexpensive nature, the Argus C3 managed to outlast most of its competition. Over the years, the camera maintained the design with only a few modifications. The unit played a big role in popularizing the 35mm photography in the U.S. needless to say; it was one of the best 35mm rangefinder cameras available. The Yashica Electro 35 GSN is not the smallest camera there is. As a matter of fact, there are many rangefinder cameras including the Olympus EP2 that are significantly smaller than it is. The camera contains a full frame sensor – a 35mm film. To some, this might come as a shock, but yes, it is a film camera. Its front is simple and plain which attracts many to it. At its top, the camera has got a lot going on. But every button, light, and dial are all important in the overall function of this Yashica camera. Moving on, it is worth noting that the unit features a 45mm f/1.7 lens. This is similar to the SLR lenses. The camera can focus from 2.6 feet and has a range of ISO12 to 500. This range was however increased to ISO 25 to 1,000. As for the shutter, it comes with a performance rating of 1/500 for roughly 30 seconds. It can, however, last longer than 60 seconds with smaller apertures. At f/1.7, it only lasts for 3 seconds. With regards to its weight, the Electro 35 GSN measures about 728.4 grams with the alkaline battery (full size) but without the strap, caps, filters, and case. 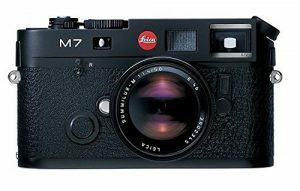 Individuals who have taken a keen interest in film rangefinder cameras have learned the techniques necessary to take some of the best shots available. In all honesty, rangefinder cameras are by far the best and ideal camera anyone looking to step up their game should get. Their simplicity in focusing and use in low light, quiet shutter makes them perfect for taking awesome images with minimal distractions.